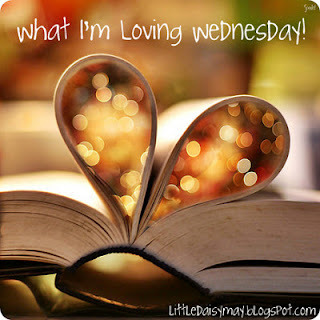 I have been way too tired to blog lately! Hopefully I can come back with this edition of WILW. I'm loving something specific that happened yesterday. We have a milk break in the morning every day, and so I have my daily chocolate milk (which really gets me through the morning sometimes) at 9:30. Yesterday I didn't finish my carton and apparently I set it on the corner of my desk. At the end of the day, some of the kids told me that there was milk in our Rubbermaid milk carton holder. I was like, "Who didn't finish their milk??? Milk break was like 5 hours ago!!" Then they said it was mine. ....................... Oops. But one of my very sweet girls ran the carton holder to the bathroom, scrubbed it out, and dried it for me! That really made my day because I didn't even ask her! I'm loving that I spent time after school with my next-door neighbor classroom friend!! We had a lot of fun! I'm loving the mummy activity I borrowed from Jenn at Finally in First. 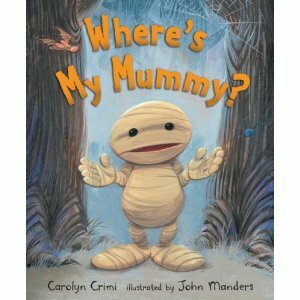 We read Where's My Mummy?, which the kids LOVED. They were beside themselves that the baby mummy was afraid of a mouse and not all of the other scary things in the forest. Afterwards, we did the same activity that Jenn posted about. I didn't have manila paper, but I went to a going-out-of-business sale yesterday and got some textured linen colored paper that worked great! I'm loving the traceable letters that I borrowed from the upper grade teachers!! It wasn't really that fun to cut out the letters but they look so nice! I'm loving that my family went down to Purdue this weekend to see my brother and to watch the homecoming football game against U of I! I love my broski and it was a fun weekend. I'm loving the pumpkin life cycle activity that I read about at Fabulous in First. Instead of making the little pocket, we made life cycle necklaces. Even my boys LOVED them. The printable life cycle was really cute. I'm loving my ESL class this semester. My teacher is awesome! Last week, we learned about TPR in an amazing way. My teacher speaks Japanese, so she taught us a Japanese lesson using TPR so we could see how it felt to be language learners and to see if the strategy really worked. Also, my teacher teaches a 1/2 split class right now, just like me! What I'm not loving is that I have homework for my class...... and report cards are due this week..... and conferences are next week.... and I haven't decided 100% on a costume for Halloween for my class!!!! My name is Missy Kennedy and I teach third grade. I am part of the postcard exchange and wanted to let you know about my class. Our school is Parkview Baptist School and is located in Baton Rouge, the capitol of Louisiana. We are celebrating our 30th birthday this year and are the largest private school (non-parochial) in the state. We are excited about getting to know more about your class. I have a postcard exchange page on my blog and hope you visit. We have some questions for you to answer listed on that page. I will post as I receive postcards.